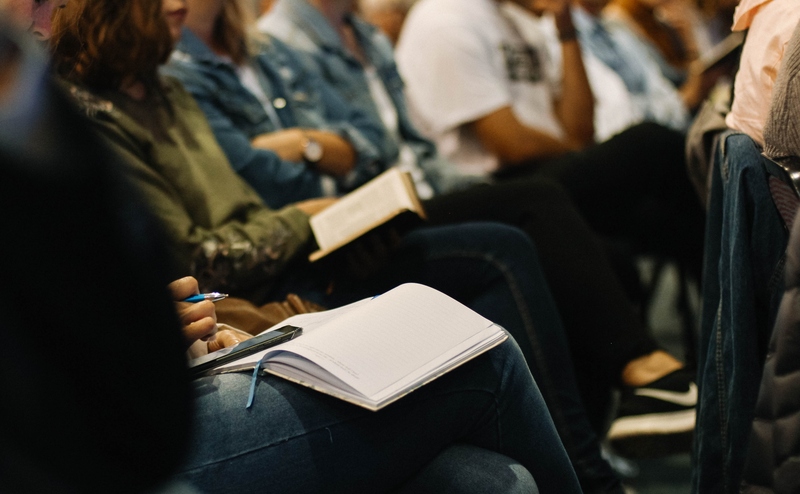 The Government of Canada is gathering people’s thoughts and ideas on the development of a national vision for housing and a national housing strategy. 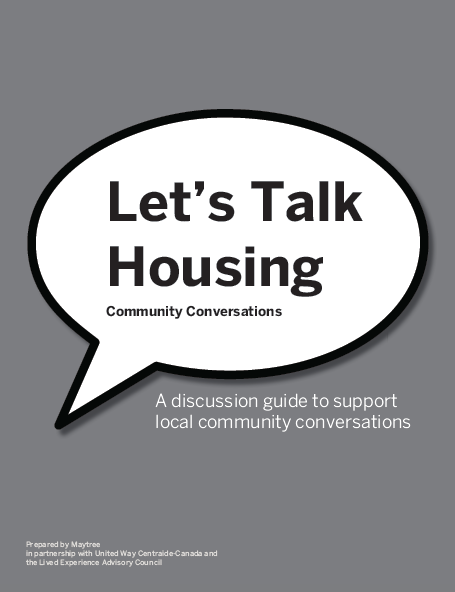 On the Let’s Talk Housing website, all Canadians are invited to provide feedback on four housing themes through an online survey and/or by uploading a written statement. The deadline for completing the online survey or submitting a statement is October 21, 2016. Why a Community Conversations Guide? For a variety of reasons, many people will not participate in the Let’s Talk Housing consultation process. 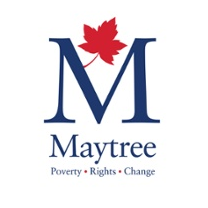 Maytree, United Way Centraide-Canada and the Lived Experience Advisory Council believe that consulting those directly affected is necessary for the success of the national housing strategy. The community conversations will address this gap in the Let’s Talk Housing consultation process by creating opportunities for engagement. 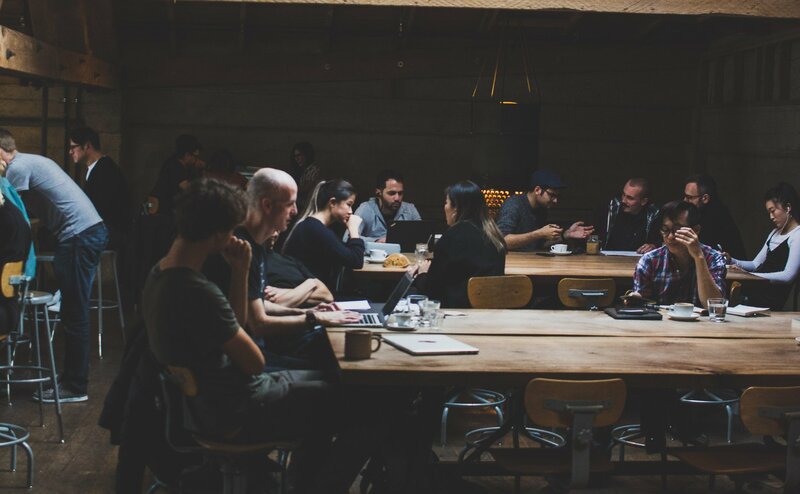 Community conversations are intended to be inclusive, transparent and accessible for people who have complex housing needs, who are experiencing homelessness or are precariously housed. 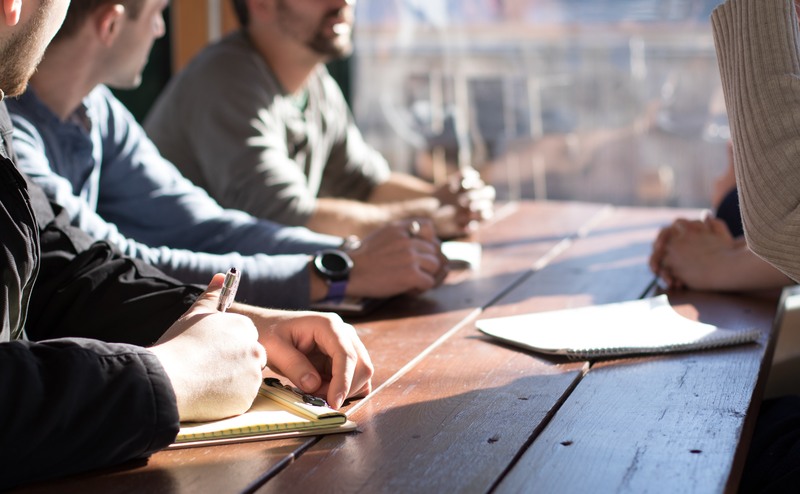 Maytree and United Way Centraide-Canada will be submitting a cross-Canada compilation of the feedback from local community conversations to the Let’s Talk Housing consultation process. If you want your community conversation to be included in this larger submission to the Government of Canada, please email it to Maytree (evlachoyannacos@maytree.com) by October 7, 2016. We will share the final document with the communities participating in this initiative. Submit the thoughts, ideas and results of your conversation to the Government of Canada’s Let’s Talk Housing conversation process on the www.letstalkhousing.ca website, using the “Upload a written statement” button. The deadline to submit your ideas to the government is October 21, 2016. Share your Let’s Talk Housing submission with your local elected representatives from all levels of government and, if conversation participants are interested, consider meeting with your elected representatives to talk through your submission. Share your Let’s Talk Housing submission with other people in your community. At Maytree, we believe that poverty is created when economic and social systems do not keep pace with our changing world. This impacts the quality of life in our communities. The most enduring way to fix the systems that create poverty is to safeguard economic and social rights for all people living in Canada. We work to advance systemic solutions to poverty through a human rights approach. We support leaders, organizations and civic communities by: developing and sharing knowledge; strengthening learning and leading; and mobilizing action to further economic and social rights. Maytree has been dedicated to creating solutions to poverty with our many partners since it was founded in 1982. We listen to the voices of communities to understand their most pressing needs and priorities. We work with governments at all levels because they are central players in creating equity and prosperity. We collaborate with civil society organizations, policy advisors, employers, and major institutions to build strong and vital communities.